On Thursday 13 October, 2016, an official statement was issued from the Thai palace stating that the monarch of Thailand, King Bhumibol Adulyadej, has died. Here’s why it matters, and what it might mean for the economy. Why is his death such a significant event? 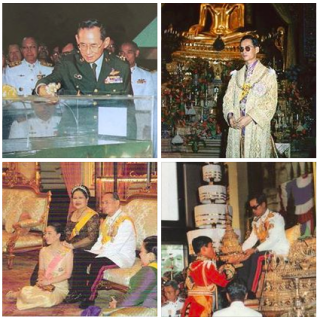 King Bhumibol was in power in Thailand for 70 years, making him the world's longest-reigning monarch. The news was met with widespread grief, captured in dramatic photos and video footage by journalists and news networks around the world. Some might think it strange to see such devastation at the death of a political figure, and an authoritarian one at that. But the King was revered by millions. His presence could be felt even in the most remote corners of the nation. His portrait, sometimes alongside other members of the royal family, is a common sight in Thai homes, and a guaranteed feature in public institutions – schools, hospitals, government buildings – and alongside main roads and highways. Often described as the “father of millions”, he captured the hearts and minds of the Thai people to the point where many have described his passing as equally devastating and personal as the death of a family member. So why the controversy about his legacy? Strict laws known as 'lese-majeste' laws have cast a dark shadow over the legitimacy and legacy of the King. These laws protect senior members of the royal family from criticism, which some say have hugely undermined social and political discussion in the country. Harsh punishment of those who break the law means a lot of people have effectively censored themselves. Some feel that the near-divine status the King holds for people has come hand in hand with a coercive environment that punishes dissent. How did Thailand's economy do under his rule? Everyone from academics to the general public has long argued that the King’s rule pretty much embodied stability. He’s credited for tempering political conflicts and uprisings. His economic legacy has been ferociously defended by hundreds of thousands of Thais on social media in the past week. programs in Thailand (particularly in rural areas), countless social projects on things like agriculture and irrigation, and his strong leadership. The Thai economy increased 40-fold under his reign, making it the second largest in Southeast Asia today. The country joined big international organizations like the WTO, and reduced its poverty rate from 65.2% in 1988 to 10.5% in 2014. But recently, political struggle in the country has slowed things down, and corruption is, as ever, a huge challenge. What happens to Thailand now? has recovered from steep losses during the King’s last days as uncertainty over his health and a peaceful succession piled panic upon traders. A one-year mourning period was announced by the Thai junta Prime Minister Prayuth Chan-ocha as soon as the news broke. 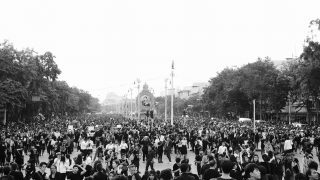 Entertainment activities across the nation are expected to shut down for the first month, and citizens are expected to dress in solemn colours like black, grey and white. This mourning period could be extended to three months or more. The effect this will have on tourism, and on economic activity as a whole, is likely to be significant. But the most substantial impact is yet to come. 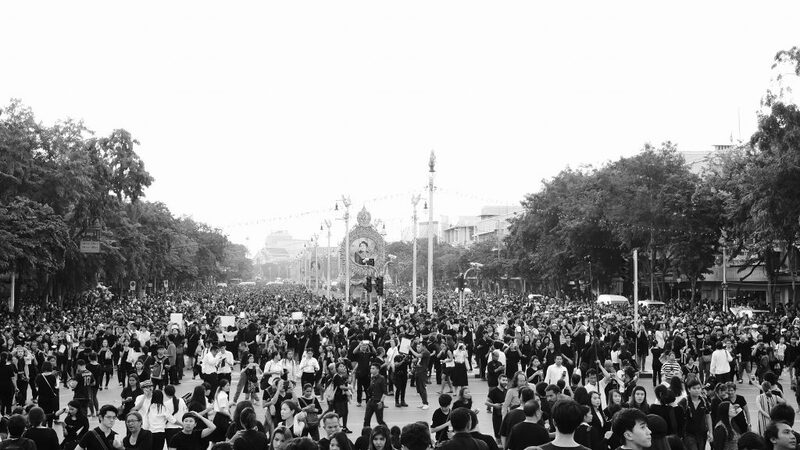 Thai society and politics have been volatile for the past few years, and a lot of people feel that with the lack of the powerful moral authority and unifying power of King Bhumibol, anything is ‘fair game’ now. What’s certain is that whatever your view of the King and his legacy, he’ll be a tough act to follow. Editor's note: Given the contentious nature of this topic, the author would like to disclose that she spent multiple years in Thailand during her childhood, and is a self-described admirer of the King, but not a supporter of monarchies as political systems or lese majeste laws.